This is part 1 of my 5-part Dua Series that I'm writing for busy Muslimas. Reading all parts of the series will help you gain maximum benefit inshallah. This post contains affiliate links. I've come to depend on something as much as I rely on water to quench my thirst. For many years I would suffer the ills of my heart and mind as I didn't use the medicine that Allah SWT has prescribed for us - the medicine of dua. Making supplication to the Most Merciful One is a powerful anecdote that makes everything you do easier and blessed. It's you, doing what you do, only so much better! I've felt the barakah and relief that came from saying relevant duas to a situation I was experiencing. I've noticed (sometimes the next day) how things fall into place when I beg Allah SWT through dua to guide and help me. SubhanAllah, I now realize that duas are the way to success! I speak from my own experience when I say that my life has changed for the better by adding dua to my day. I knew about it before, but I didn't make time for it nor think it was important enough. I had to go through tough times which led me to understand that dua was the shield a believer needs. That's why I'm so excited to share the method I use and the duas I love, in hopes that you too experience its wonder (if you haven't already)! Remember, you can say your duas in the language you are most comfortable with - actually, it’s recommended to say it with the most understanding. Therefore, I say all my duas in English, unless they are ones I've memorized in Arabic and know the meaning. This also helps me say more duas in a shorter time span. When I first began saying my duas daily, I did not say too many, I began with a few short ones because I was afraid I would find it tedious and not keep to it. Rather say a few duas every day, than many and get lazy to do it. “The most beloved of deeds to Allah are those that are most consistent, even if it is small.” (Bukhari and Muslim). Immediately when I open my eyes I say my morning dua. In the evening, when I get in bed I say my evening dua. I say the shahadah as an affirmation of my submission to Allah SWT. I send blessings on the Prophet SAW. I say the duas for protection. I say the duas for tribulation. I say the duas for anyone who is ill. I say my personal duas which I’ve written down. Depending on whether I am going through a hard time and need more help, I say some duas of the Prophets PBUT. Usually, I say most of my duas after Fajr salah, and some after Isha salah. I find I'm less forgetful when I attach a new habit to an old habit. There are days where I only say my duas in the morning as I'm an early bird and not a night owl. At night I'm more tired and forgetful. Then there are days I only say two or three powerful duas if I’m short of time. Don't become despondent if you miss any dua because that's what shaytaan wants you to do. Just carry on and take each day as a fresh start without looking back. Honestly, that has been the number one reason I've left some good habits in the past. You may feel that this method or the duas, are too many or too time-consuming to say twice or even once a day. However, you'll see that the more you say your duas, the more you feel your time expands from the barakah subhanallah. We should also not have any doubt that Allah SWT will answer our duas. The scholars mention that our Lord only places dua on the tongue of His servant because HE WANTS to give to that servant. 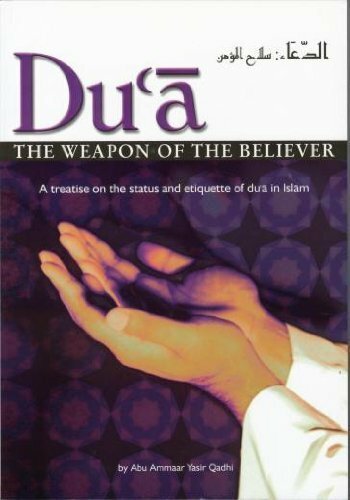 I highly recommend reading Du’a The Weapon of The Believer By Yasir Qadhi as it goes in-depth into the benefits of dua. I was amazed by the gift of dua and how we have this invisible weapon to help us deal with life’s tribulations and to defend ourselves against oppression. I wish I had learned this sooner in my life! In part 2 of my Dua Series, "How To Get Your Dua Accepted" I will share the different ways you can incorporate dua to help them get answered. You can also pre-order my ebook "A Muslima's Book of Personal Duas" with everything laid out in a handy ebook and includes a compilation of the duas I love as a Muslima. It also contains some extras like my personal duas, and is presented in a pretty floral design. This is convenient to read in print form or from your device each day (as I do). You can also print specific pages from the book and frame your favorites duas to hang on your wall to remember. Pre-order A "Muslima's Book of Personal Duas before 02/28/2019 and Save 50%! I also highly recommend using a dua journal. I have created a simple Dua Journal for Muslimas as well as for kids! 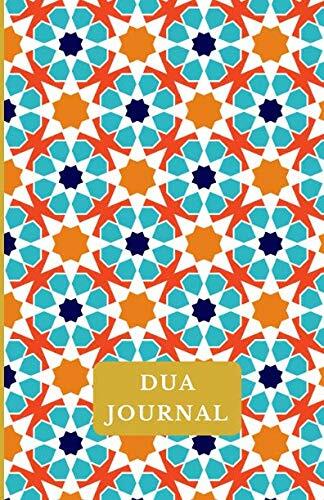 If you prefer a dua journal that is more detailed and reflective. 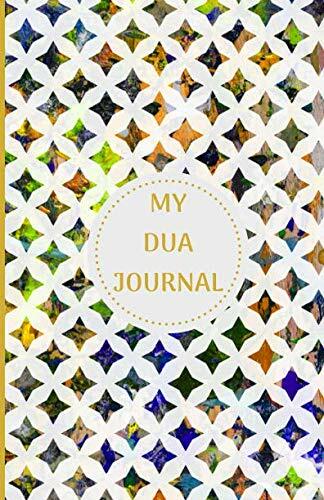 I’ve heard wonderful things about The Dua Journal. Read More Posts In My Dua Series!